1. 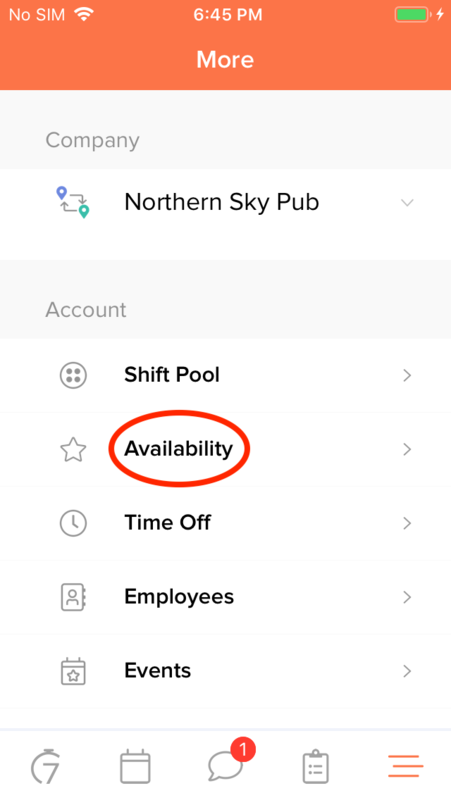 Go to 'Availability' in the more menu. 2. 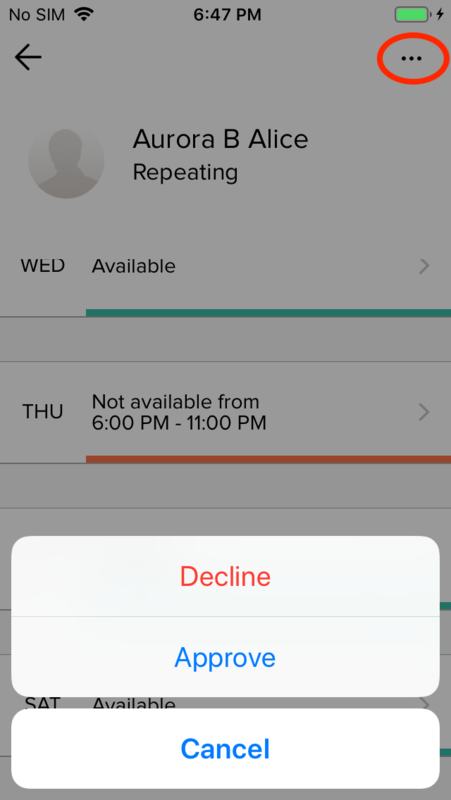 Tap on the Availability request you wish to respond to. 3. 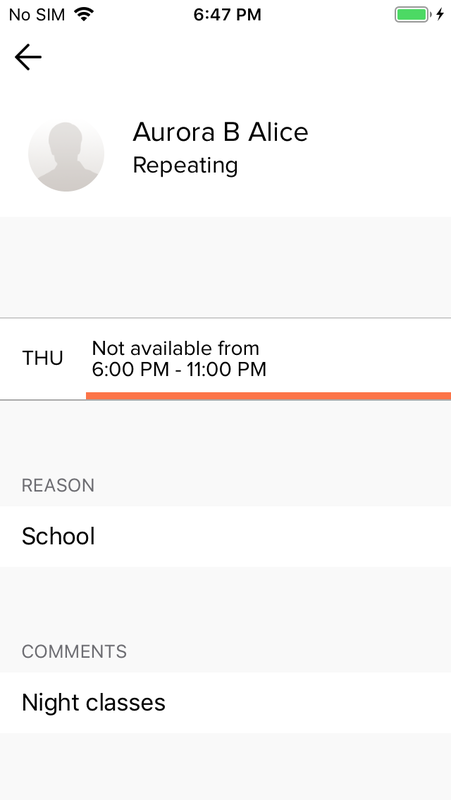 When viewing the request, you will be able to view the reason and comments for each day, explaining why someone isn't available. 4. 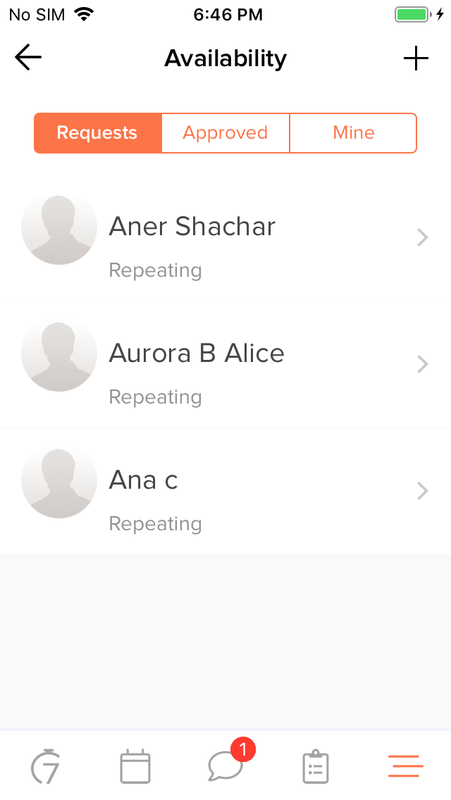 To approve or decline the request, tap the three dots at the top right of the screen. Note: Employees will receive a notification once you approve/decline the request.